Scottish and Australian researchers have found surprising evidence than detonating landmines, lethal explosives that leech toxic chemicals into soil, may actually be better for the environment than removing them outright. Their paper appears in the journal PLoS One. A team of scientists from Dundee University and the James Hutton Institute, both in Scotland, and the ChemCentre and Curtin University, both in Australia, measured the presence of TNT in soil. TNT is a poisonous and explosive chemical compound that litters conflict zones and landmine fields. The researchers were comparing the presence of TNT in soils where landmines were removed against those where landmines were detonated. You might think that removing the landmines would result in less TNT pollution than exploding them, but as the scientists found, detonating the landmines shook up the surrounding soil, making it more porous. That porosity, they found, made the soil more amenable to bioremediation, a process in which bacteria consume environmental pollutants. Speaking to Scottish publication The National, researcher Nic Daeid explained that the explosions allowed pollutant-removing bacteria to access the soil more quickly, and the more-porous soil had less toxic contamination at the end of the six-week study period. 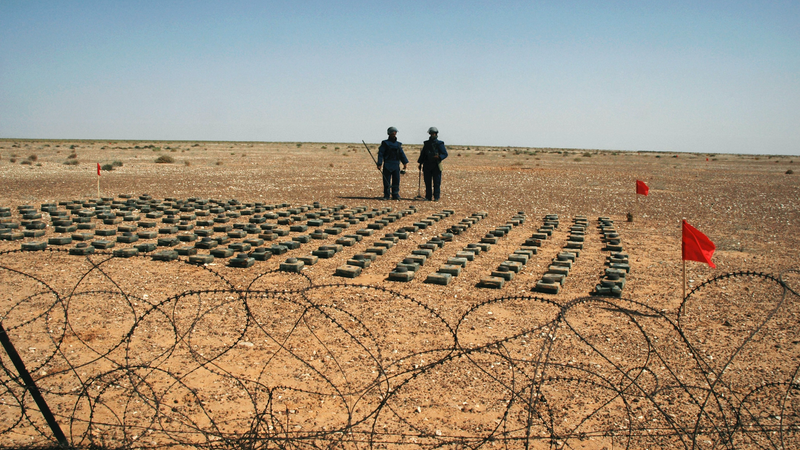 Clearing explosives from minefields is, as you’d imagine, a very dangerous and time-consuming endeavor. Humanitarians have used everything from drones to dogs to honey bees to aid in clearing them. Obviously, this doesn’t mean anyone should go around detonating landmines as the desire strikes them, but the researchers suggest using less toxic explosions to increase the porosity of soils contaminated by TNT. Restoring the environment after conflict is extremely important, and this could be a big step in understanding the process.